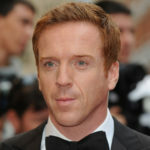 Damian Lewis is an English actor and producer. He played U.S. Army Major Richard Winters in the HBO miniseries Band of Brothers, which earned him a Golden Globe nomination, and also portrayed U.S. Marine Sergeant Nicholas Brody in the Showtime series Homeland. His performance as Henry VIII in Wolf Hall earned him his third Prime time Emmy nomination and fourth Golden Globe nomination. "No Western government has ever played the long-term in terms of foreign policy."